Who doesn’t like printables? I love them and I have been creating them for quite a while. But maybe not as often as I would like because sometimes, they could be time consuming. But when your first child enters school for the first time, you want to make it special. I have taken photos, thrown a small family party, and made some printables to celebrate. Too much? No – the kid is excited and we want to encourage her on. 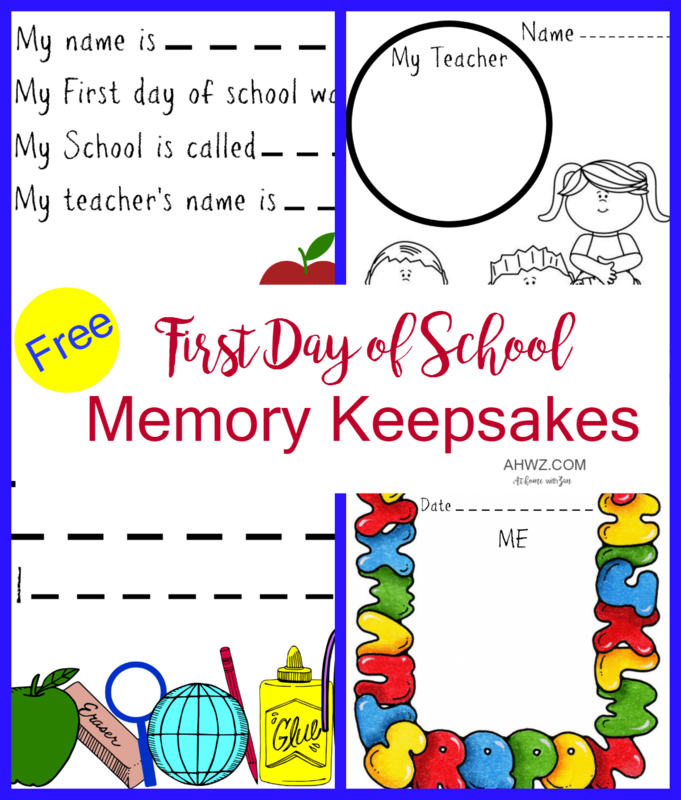 I am sharing with you all three printables I made as “first time in school” keepsake. If you have smaller children in school, first time or not, I hope you would find them useful for making memories of your little one’s school adventures. 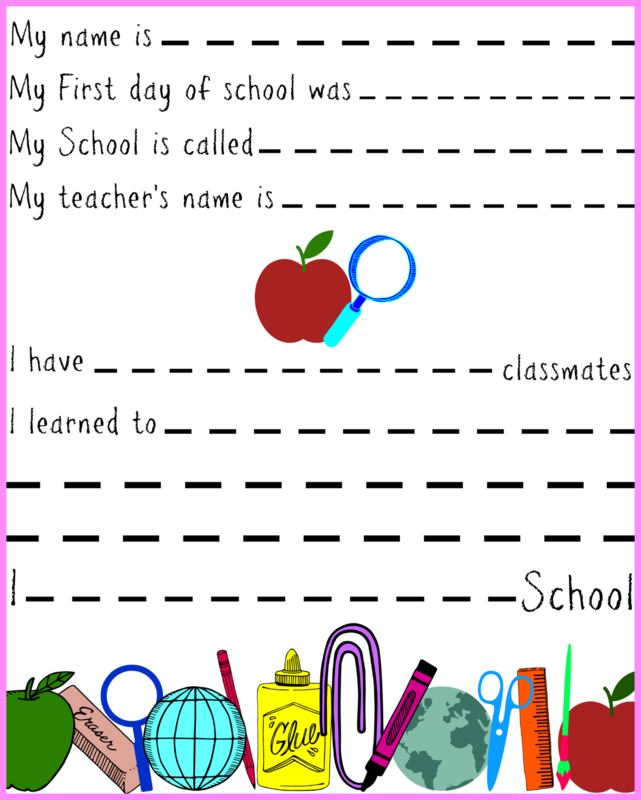 This printable describes a child’s first day of school. Print this out and help your child fill in the answers. If they cannot yet write, then fill in the information as they tell you the answers. This one is for drawing and coloring. Your child may not be able to draw his or her teacher but they can draw a face to represent. This last one is one of my personal favorites. Simply print out this frame, preferably on card stock paper. Have your child glue his or her photo from his first day of school (hopefully you took one) in this frame. If you did not take a photo of the first day, then maybe the first few days or first week. You could also add this to a regular 8 x 10 picture frame to display it at home. How do you like these? Hopefully, your kids will love them and will enjoy keeping their first day of school memorable. This is a cool idea!! I’m going to have to do this with my son. He’s being homeschooled — so teacher is me, lol, but I think it will be a neat keepsake anyway! 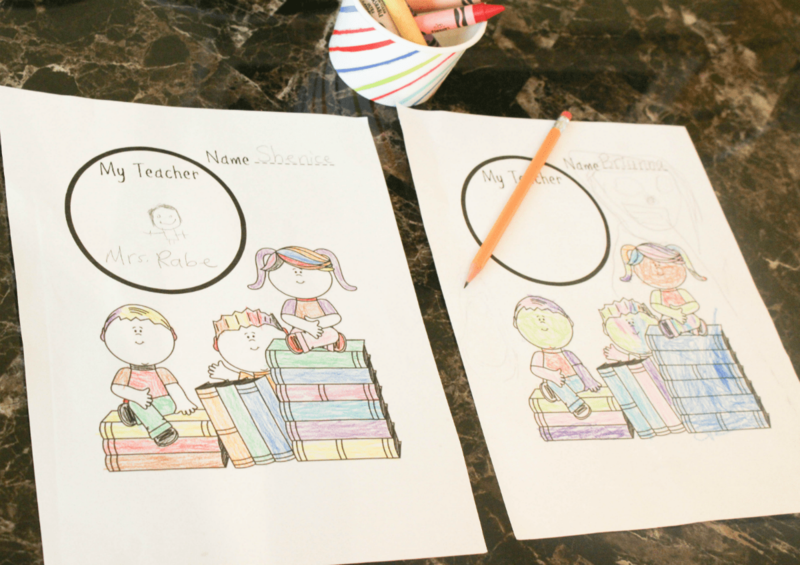 It is a fun creative way to keep memories of their schooling!